This two year project created a virtual classroom of David's travels as he and his partner sailed throughout the Caribbean. The project was in partnership with the Ontario Science Centre where they featured the travel blog in their Field Trip Diaries exhibit. 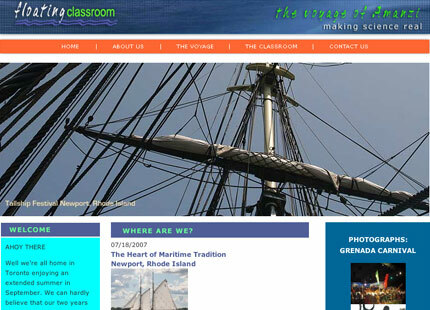 Blog, lesson plans for teachers, interviews, photo galleries, and pod casts were all part of the website.